Are you looking for a better way to manage all of your social accounts? With the growing number of social networks, it can be a pain to keep on top of them all. 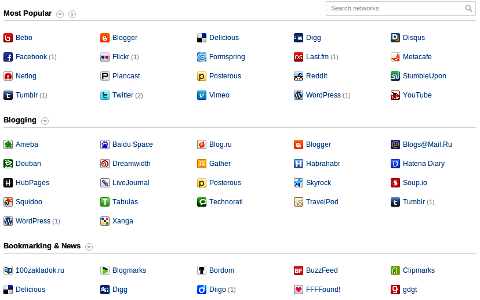 Below I’ve highlighted three tools to help you manage your various social networking accounts from one neat dashboard. Just recently out of private beta testing, Alternion packs a punch with the number of networks and social profiles you can manage. Each profile or account is added by logging into the original site and allowing Alternion to access your account. From blogging to bookmarking, image-sharing to shopping, Alternion will cover more of your accounts than any other dashboard I’ve tried so far. For business and marketing purposes, you’ll find most of the accounts you would need: Facebook, Twitter, WordPress, Digg, StumbleUpon, Delicious, Vimeo and YouTube are all here. Alternion also places an emphasis on user privacy, with sharing options available for each linked account (perhaps having learned a lesson from Facebook’s privacy fumbles). You can decide whether to display a link to each account on your Alternion profile, and who can see your updates from a specific network. Alternion's privacy settings are simple and easy to change. The main dashboard page is a little reminiscent of Facebook’s once-simple layout—the blue and white design and clean structure make it easy to focus on your data and the task at hand. Two sidebars keep your main news feed or message stream uncluttered. Alternion offers three main viewing options: your social news feed, which pulls in updates from your social networks; messages, which allow you to interact with your various email accounts; and contacts, which is fairly self-explanatory. One great feature that I was surprised to find is the ability to not only edit your Facebook and Twitter lists, but also to create brand-new lists from within the contacts tab. 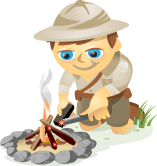 Alternion also creates a user profile for everyone with an account. On your profile page, you can see updates you have made to any linked social networks, links to your various social profiles, photos and videos you have shared and some basic stats about your activity (number of profiles, number of updates, etc.). The profile sidebar shows an overview of your activity from all accounts across the web. Alternion wins at offering the most variety in the accounts and networks you can pull in. It also offers full email integration, allowing you to interact with email messages without leaving your dashboard. If the clean-cut simplicity of the design suits you, and you want to manage a wide variety of social accounts from one place, Alternion is worth a try. Unlike Alternion, LiveGO focuses on a smaller number of popular social networks like Facebook and Twitter. It also incorporates email accounts and instant messengers such as Gmail’s GTalk and AOL Instant Messenger. LiveGO aims to be a simple way to communicate with others through email, social networks or instant messages. LiveGO has several viewing options, allowing you to get an overview of everything at once or focus on a particular area. The standard inbox view shows your email inbox at the top, with mixed social network feeds underneath. Your instant message accounts live in a sidebar to the right, which can be hidden when not in use, giving you more space for other tasks. Each of your accounts has its own button on the left, with a pop-up menu that makes it easy to switch to specific feeds; for instance, Twitter mentions or email drafts. A menu across the top of the main feeds panel offers different areas of each network, giving you full, integrated access to your account. The Facebook-specific view has menu options for your news feed, photo albums, messages and more. Each Twitter account has its own panel as well, showing your main feed, your own tweets, favorites, mentions and direct messages. LiveGO's integration with Twitter includes the ability to favorite and unfavorite tweets, see conversation threads and follow or unfollow users. A constant update box sits at the top of the screen, allowing you to update any of your social networks with ease. Choosing the account you are sending from is clear (something I have had issues with in other dashboard apps), and sending the same update to more than one account is an option. Finally, a couple of unusual features that caught my attention: First, the ability to add special characters (music notes, hearts, arrows) to your updates. Admittedly, this is not something I use often, but is an interesting addition to the update box, especially considering an “add media” button is conspicuously missing. Second, a feature I have never seen before: an automatic collection of updates from the same person. See the image below for an example. Two recent tweets by the same person were linked automatically by a bracket to show that they came from the same author. The rounded, smooth design of LiveGO is more pleasing to the eye than the plain layout of Alternion, but this may not be enough to win you over. 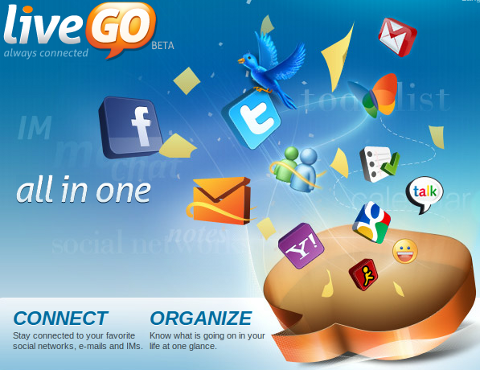 If you want to update many different social networks at once, LiveGO may not be the tool for you. For keeping on top of several Twitter, Facebook and email accounts, however, LiveGO does a great job of incorporating most of the features of each network, as well as offering instant messaging options to keep you in touch with your contacts in a variety of ways. Netvibes is more of a monitoring dashboard than an integrated updating tool. With the ability to add several social networking accounts such as Facebook, Twitter, MySpace (yes, really) and email accounts, it offers a good overview of your networks. Its focus is more on monitoring your brand across the web than communication, however. 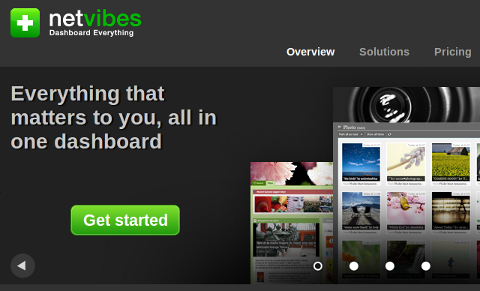 Netvibes aims to be "everything that matters to you" collected into one dashboard. With the ability to add several “dashboards” to your account, Netvibes offers a comfortable way to keep different areas of your work separated; for instance, personal and professional accounts or different brands you are monitoring. Various widgets allow a huge degree of personalization to your dashboard. Each dashboard view lets you choose widgets to add, which come as specific as the calculator, weather or to-do list widgets, and as indistinct as standard text or HTML widgets. 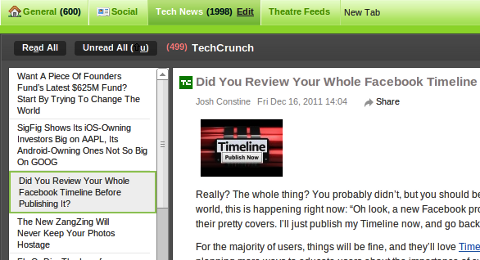 Social widgets allow you to monitor your email, Facebook, Twitter and LinkedIn accounts. 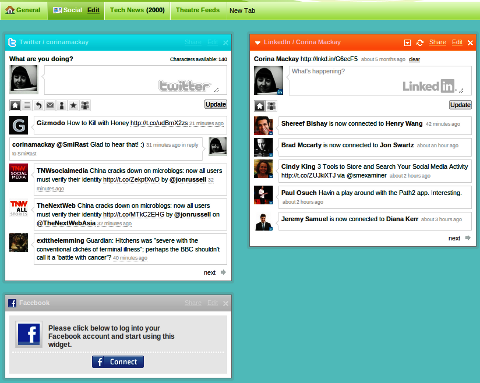 Each social networking widget offers standard functionality, such as replies, comments, retweeting and other sharing options. The email widget, however, is disappointing in its lack of features, offering essentially an inbox monitor and nothing else. Adding widgets is a fairly simple process, with categories to browse at the top of the page. 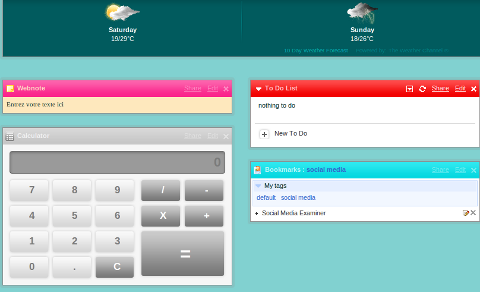 Each widget can fit into different areas of your dashboard, and change size and shape accordingly. Widget previews show user ratings, image previews and the number of users who have installed the widget. 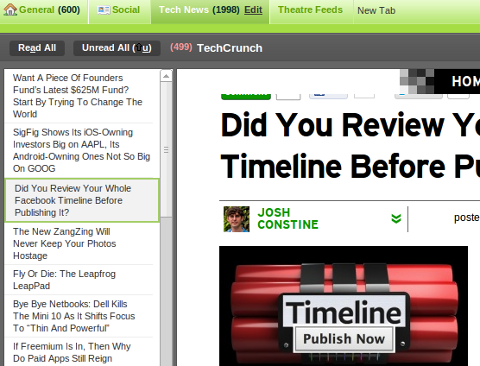 The one thing Netvibes really does differently is the integration of RSS feeds. With RSS widgets, you can quickly get an overview of recent headlines, and open these in a reader view to see the full article. RSS feeds can be read without leaving the Netvibes dashboard. This integration makes Netvibes the perfect place to monitor specific topics across the web, without actually “traveling” across the web. If you prefer to view the actual website, you still don't have to leave your dashboard. Netvibes also offers the most extensive personalization options of these three apps, with several themes available to choose from, and color options available for each separate widget. If monitoring—rather than engagement—is what you’re after, Netvibes is for you. Although it offers some social networking functions, its strong points are the integration of various tools such as RSS feeds, social network feeds, weather, news and to-do lists, which make it a one-stop dashboard for all of your monitoring needs. If you like the sound of Netvibes, you can also sign up for a premium account from $499/month to access detailed analytics features as well. As always with these roundup posts, your needs will determine which app is of the most benefit to you. Are you looking for a way to monitor and manage your accounts on various networks across the web? Perhaps Alternion has what you need. If you want an easy way to keep up with several accounts on Twitter, Facebook Pages and your email, LiveGO can integrate those for you. 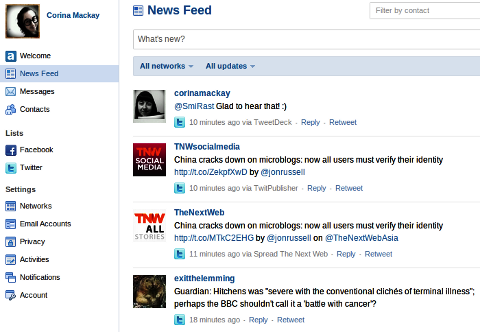 Or if you need an easy way to monitor brand mentions or specific topics all in one place, try Netvibes. What do you think? Let us know which dashboards you’ve tried, and what you like best. What features would you like to see added to your favorite dashboard?